Your business needs to convert leads into sales to make money. Every business does – yet, so very few businesses have great systems to optimise this area of the business, so there is ‘money being left on the table’. This topic – ‘hidden in plain sight‘ is a way to rapidly and significantly increase cash in the bank, and its much easier to achieve it than people generally think. It’s not a small amount of cash in the bank increase, its quite often HUGE. A builder tripled his sales in one month after applying our strategies, his sales increased from $30,000/month to $90,000/month and he was absolutely amazed at the astounding income jump. An engineering (manufacturing) company saw their sales income jump from $605,000/month to over $1,000,000/month just one month after a training day with their team. These and other results demonstrate just how big this opportunity is in so many businesses. You don’t have to become a Super Salesperson or start annoying people to achieve these results, in fact quite the opposite. Using these techniques in this report, you and your team will become far more ‘user friendly’ with prospects so they want to buy more from you and your team. 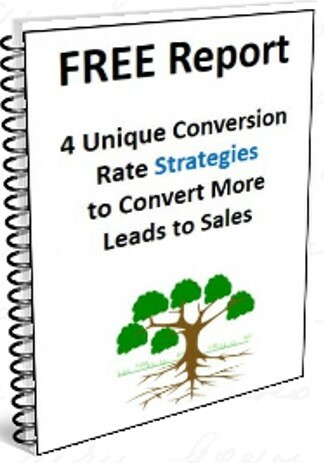 There are over a dozen very effective, time-proven ways to convert more leads into sales and in one easy to follow REPORT you can learn 4 of these ways. You can apply each of the 4 ways to your business – immediately, and see a significant improvement in results within just days. One strategy will take you just 2 seconds of your time to use! That strategy is using the best phone greeting that has been TESTED to produce the results in terms of sales increases. It’s the simplest, fastest benefiting strategy in any business there is. Some businesses have reported a 10% jump in income within just days of applying these 4 techniques. Would you like a 10% jump of your sales (i.e. weekly and yearly income) in just days? Here’s your chance to benefit by grabbing this Report. * You’ll also receive other free training, books, video access and top tips in weekly newsletters.